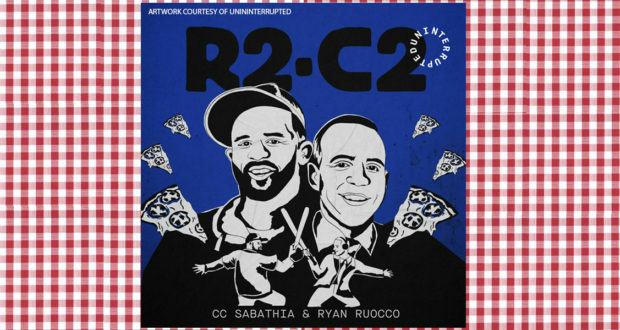 R2C2 is an excellent podcast hosted by Yankees pitcher CC Sabathia and sportscaster Ryan Ruocco. On every episode they sit down with a different guest — typically an athlete or celebrity — to discuss a variety of topics. Although the podcast was initially published through The Players Tribune, its current home is over on UNINTERRUPTED, a digital media company co-founded by Lebron James. 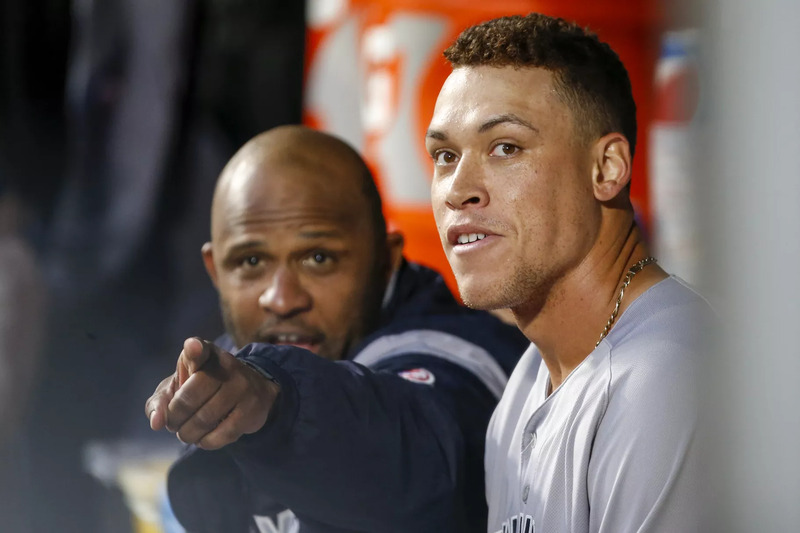 In one of the final episodes that was recorded prior to the switch over to UNINTERRUPTED last year, CC and Ryan welcomed Yankees star Aaron Judge on the show. At the time, Judge was coming off his stellar rookie season and had only been living in New York for about a year (he made his MLB debut in August 2016, although his first full season with the team was in 2017). Around the 26 minute mark of the episode, the guys start talking about food in New York, and it won’t surprise you that pizza got some time in the spotlight. “If it’s a cheat day, what’s the cheat food of choice for Aaron Judge?” Ryan asks. “I like Italian food… maybe a big pizza… something like that,” Aaron replies. After CC pokes fun at Aaron for eating at Ocean Prime too often, the conversation returns to pizza. “Do you have a favorite pizza spot in the city?” asks Ryan. “No, still looking,” replies Aaron. Ryan pushes back on this assertion. “You just got to show me some good spots,” says Aaron. “You know where I live,” says CC. When I listed to this last year — my initial reaction was to give Aaron a pass. After all, he is new to New York. And he clearly had more important priorities during his first year in the city (slugging 52 home runs on his way to winning AL Rookie of the Year in 2017). But CC — who was traded to the Yankees prior to the 2009 baseball season — really has no excuse. I was certain I could change his mind about New York City pizza. I told him about the R2C2 podcast and how Aaron was saying he still hadn’t found good pizza in New York. 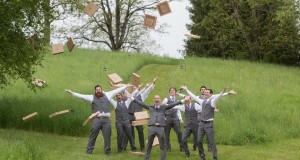 It was at this point where our conversation took an unexpected turn. Scarr Pimentel of Scarr’s pizza on the Lower East Side — a highly regarded slice shop — had been telling Paulie that Aaron frequently orders delivery from his pizzeria. Having now learned that Aaron hasn’t found good pizza in New York, Paulie sounded excited about the prospect of being able to give Scarr — a friend of his — a hard time about this. Around the time that I recorded that podcast episode, Ryan and CC went to visit a couple of NYC pizzerias on CC’s micro documentary series: Big C Is UNININTERRUPTED. The spots they chose? 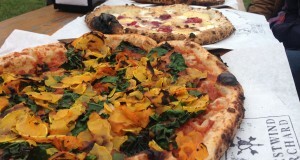 Artichoke, Joe’s and Prince Street Pizza. I admire Ryan’s strategy here — starting the bar low with Artichoke and ending with Prince Street — which is clearly the best spot of the three. That being said, I think we can do better. 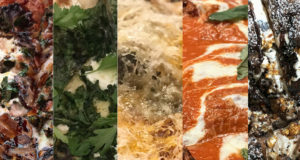 CC and Ryan — let’s make a trip out to Di Fara. Aaron can even come along so he can get a taste of what he’s missing out on. What do you say?